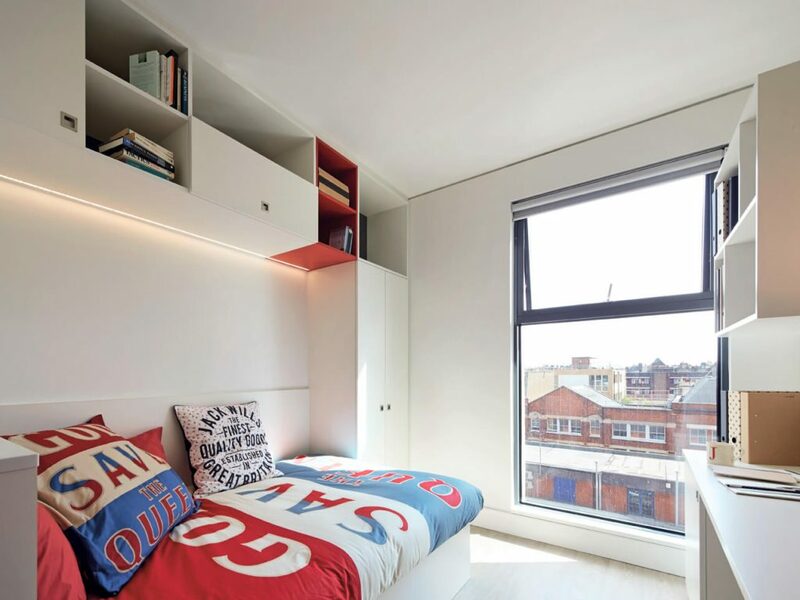 Slam-dunk in the heart of London, these stylish en-suite rooms in apartments and stunning self-contained studios are for those who adore inner-city chic. Moments away from the iconic River Thames, the surrounding skyline is peppered with well-known landmarks. 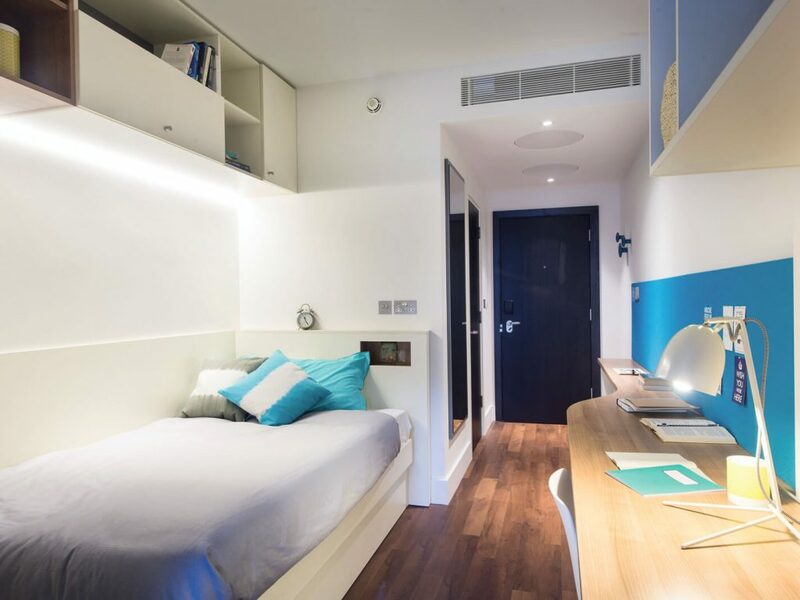 We’re only a few minutes from the tube and so many of London’s leading universities including Kings College, Imperial, University of the Arts and London South Bank University. Every room is a study of substance and style. Move straight in for the roomy work area, small double bed, ample storage, en-suite shower room and shared kitchen/living area. If your heart is set on a studio you’ll get your own high-spec kitchen area with breakfast bar, and you can share as a couple at no extra charge. Our quiet study room is available 24/7 and the seminar room with projector can be booked just for you. And if you’re wondering where everyone likes to hang out then follow the buzz. There’s always loads going on!